Nowadays, along with online booking option, the need for online rental service has gain pace. People opting to rent products has become quite common and therefore online shop owners find a potential market for rental business. 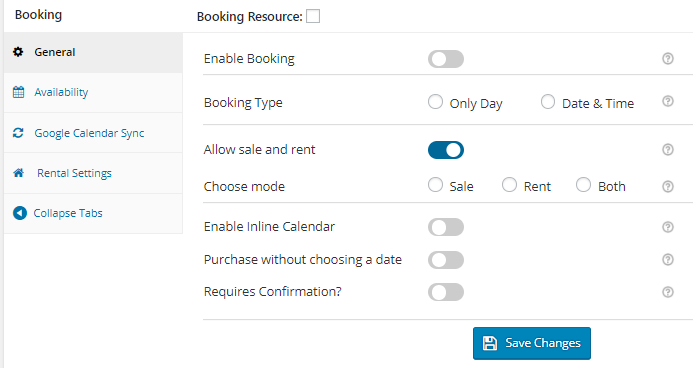 In the previous post we discussed how Rental System Addon of our Booking & Appointment Plugin for WooCommerce works wonders for rental business owners. But today we will learn about Sale & Rent functionality of this addon where online shop owners can make their products available for customers for purchase or for rent. Now let us better understand these 3 modes – Sale, Rent and Both with an instance of a Prop Shop that sells different props. 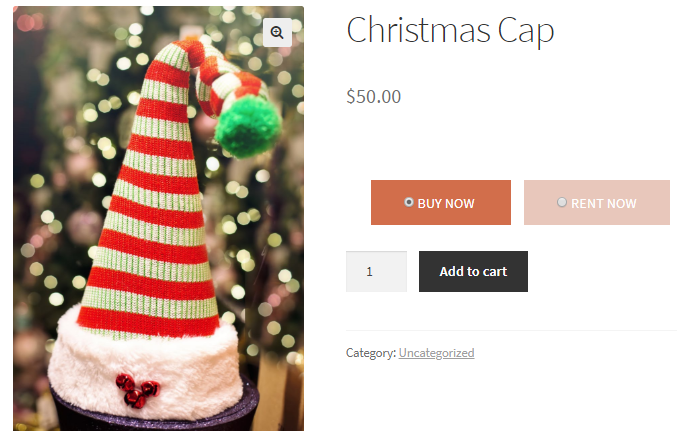 Lets create a multiple night product – Christmas Cap and one by one see how the settings selected in the backend affects the display of products on the frontend. 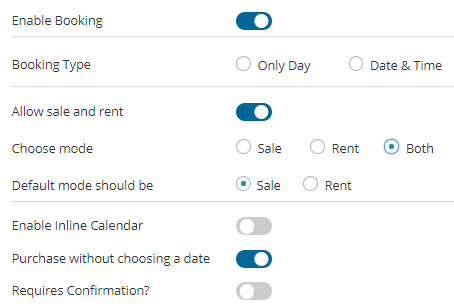 If you select Rent as an option in Choose mode in the backend, the Enable Booking option gets enabled automatically. 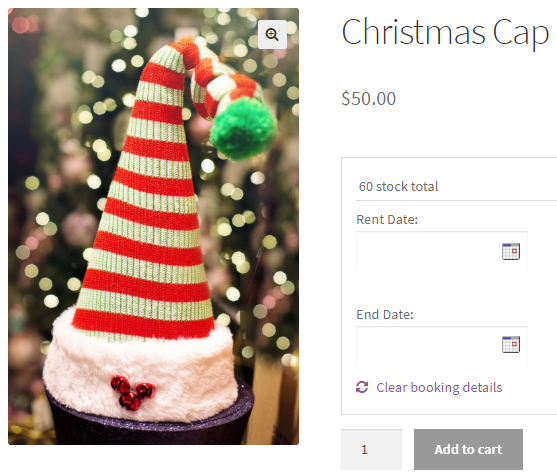 This will allow customers to select date for renting the product on the frontend calendar. 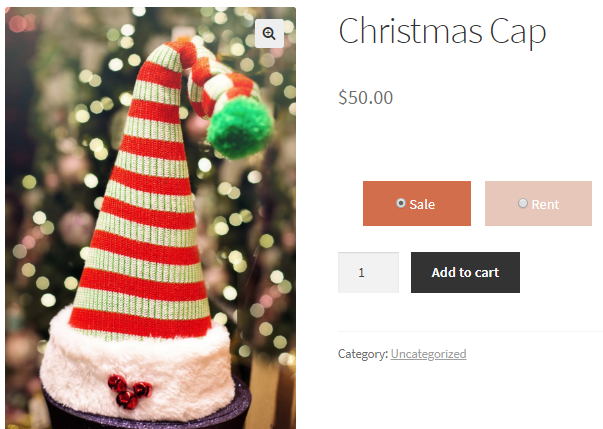 When Sale and Rent On Product Page option is enabled, the frontend of the product will display Sale and Rent buttons so that the customers can make a choice of whether they wish to purchase the product or rent it. Also when you select Both option in Choose mode, Default mode with 2 selections – Sale and Rent gets displayed. This option allows the admin to select the default mode of the product like he wants the product to be rented by default or sold. Let us see how both these options work. 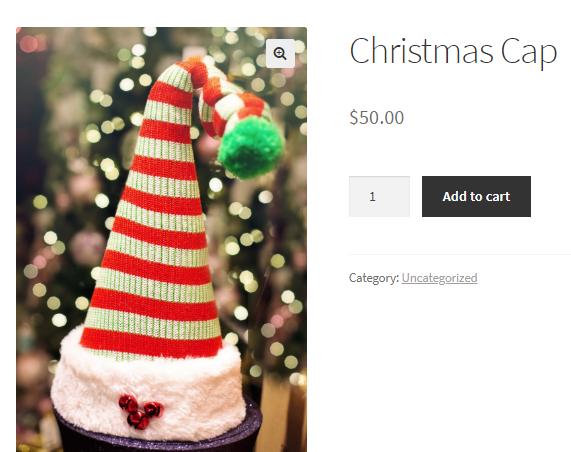 Note that if the customer wishes to change the selection from Sale to Rent or Rent to Sale, he can do so on the product page depending on his requirement. For instance, if the default mode is set to Sale and customer wishes to rent the product, he can click the Rent button and the booking calendar will be displayed to add the Rent Date and End Date for the product and it will appear as shown in the above image. 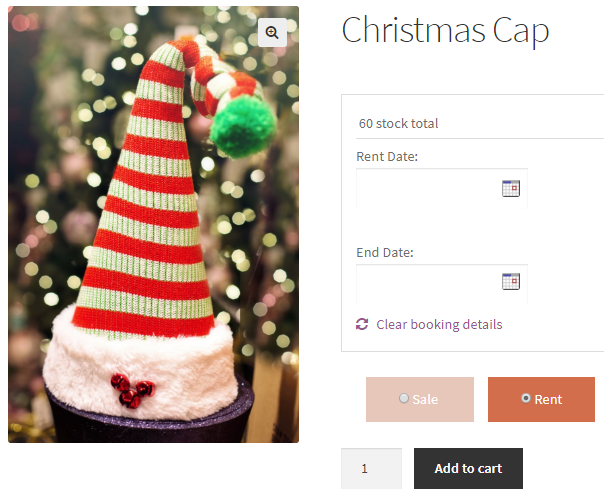 This post explains the added functionality of Rental System Addon where admin can set his products for selling or renting purpose and customers get a choice on the frontend to opt whether to purchase the product or rent it. This in turn allows both admin and customers to make a choice for the products as per their requirement, thereby bringing ease and flexibility for both entities. It is an extremely simple process and can be set in a few minutes and works for all booking types. Thus our Booking & Appointment Plugin for WooCommerce is a one-stop solution for all your booking business requirements.